The progenitor of the Maxwells, Herbert de Maccusweil, flourished under the kings Malcolm IV and William I in the second half of the 12th century. He appears to have been Chancellor either of the Abbey at Kelso or to the King himself at nearby Roxburgh Castle. The name Maccusweil is derived from Weil, a fishing pool, and Maccus, a former owner of lands to the south of the river Tweed. It is true to say that the sons of Maccus were living contemporaries of Herbert; however, there is no formal evidence to link them as related. The family of Maccus appear to have names of Norse or Anglo-Scots origin while etymological evidence seems to point to Herbert's forebears being of Norman or at least Anglo-Norman stock. 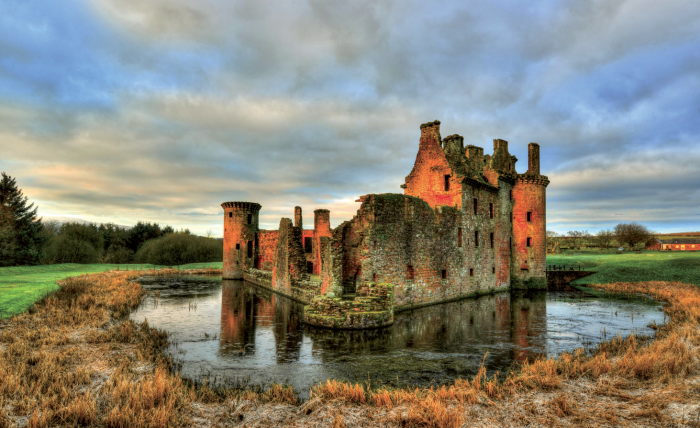 Ruins of Caerlaverock Castle, Dumfriesshire, the seat of Maxwell power in the Western March. Herberts sons held high office in the courts of William and Alexander II, including that of Great Chamberlain of Scotland, the Sheriffdoms of Roxburgh, Teviotdale and Dumfriesshire, and the Justiciary of Galloway. Their rewards for service were equally rich: the great barony of Caerlaverock on the Solway coast and the lands of Mearns and Nether Pollok in Renfrew and Dryps and Calderwood in Lanark through the judicious marriage to the daughter and heiress of the highly favoured Roland de Mearns. From these estates sprang the two great branches of the Maxwell family. The northern branch was headed by the Maxwell's of Pollok with their cadets of Calderwood, Newark, Stainley and Auldhouse, and, more recently, Farnham and Springkell. In the south, on the gulf stream kissed coast of the Solway firth, was the mighty Caerlaverock Castle, the great powerhouse of the Lord Maxwell, from whom all other branches of the noble name descend. Throughout the perilous and trying times of the Wars of Independence, the Maxwells, like many other Scottish nobles repeatedly changed sides. In 1300, their great castle of Caerlaverock was besieged by a powerful English army under Edward I, the event being recorded in great detail by a contemporary chronicler under the title of the Roll of Caerlaverock. Sir Eustace Maxwell embraced the cause of John Balliol and received an allowance from Edward II for "the more secure keeping of the Fortress. Later he threw his hand in with the Bruce and dismantled his fortress for the Scottish defense, for which he was liberally rewarded by Robert the Bruce. This knight also signed the Declaration of Arbroath in 1320 and went crusading under the good Sir James Douglas with the heart of the Bruce after his death in 1329. 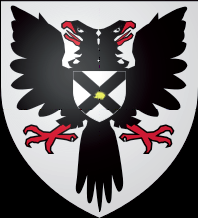 Lord Maxwell's younger brother was Sir John Maxwell of Terregles, who, like his father, was a very able man and one of Scotland greatest nationalists. 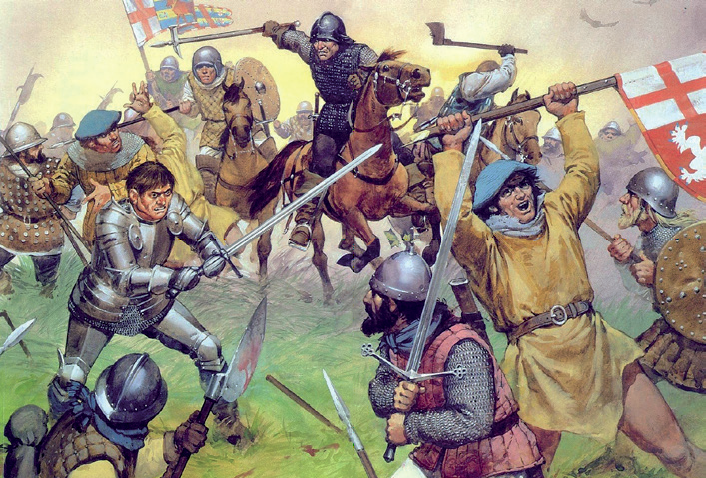 As a young man he had held Lochmaben Castle against the English during Henry VIII's rough wooing. Later, while holding true to the reform church, he became one of Mary Queen of Scots staunchest supporters, which subsequently cost him greatly. Following his brother's early death, he became tutor to his nephews, the infant sons of Lord Maxwell, and was then known by the title Master of Maxwell, wielding the mighty forces of the family. During the reign of the Queen and the regency that followed, Sir John called them to arms many times. He married Agnes Herries, eldest daughter and heiress to Lord Herries, and through her came the vast estates of that family to the Maxwells. In 1566, Sir John became Lord Herries, and two years later Queen Mary spent her last days on Scottish soil under his protection. 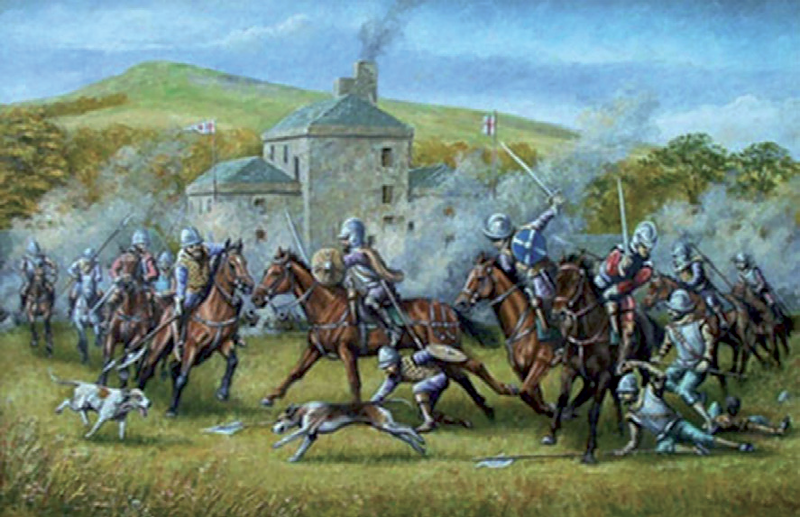 Probably the bitterest and bloodiest family quarrel in English and Scottish history  including even those in the Highlands  was that of the Johnstones (Johnsons  Johnstons) versus the Maxwells. The feud continued throughout most of the 1500s, and was often fueled by local political interests, finally ended in 1623. The Earl of Nithsdale zealously supported the Royalist cause during the Civil War, and he garrisoned his castles of Caerlaverock and Thrieve in the Kings name, holding out to besieging forces for thirteen weeks. When no relief could be sent, the Earl, with King Charles' approval, surrendered on very favourable terms. However, the nobleman was siezed in 1643, the following year, and he died in exile on the Isle of Man. His son Robert, second Earl of Nithsdale, was restored in 1647 by an Act of Parliament, but the estates of the family were so heavily burdened from losses sustained during the Civil War that he was forces to sell parts of the vast inheritance. The second Earl had no children, and the Earldom passed to his kinsman John Maxwell, Lord Herries, great grandson of the great John, Lord Herries. William, Fifth and last Earl of Nithsdale was a Jacobite supporter. He "came out" in the 1715 rebellion and was taken prisoner after the capitulation at Preston. He was taken to the Tower of London and brought to trial for High Treason in the House of Lords. After pleading guilty, he was sentenced to death by the Lord Chancellor. On the night before his execution he escaped from the Tower wearing womens clothing, in a daring plan devised and carried out by his devoted wife. He died in the exiled Jacobean court in Rome in 1744. His only son was restored to the now heavily indebted estates but not the dignities. When he died without male heirs in 1776, the chiefdom passed via the Maxwells of Breconside to a distant cousin, the George Maxwell of Carruchan, whose line died out with his grandson William in 1863. Since then the Maxwells have remained a family without a chief.